Anodizing is accomplished by immersing the aluminum into an acid electrolyte bath and passing an electric current through the medium. 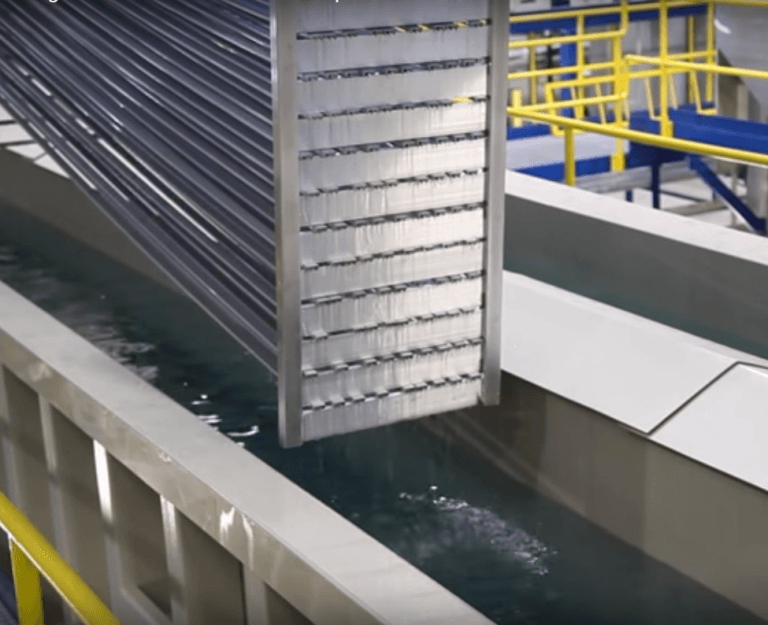 A cathode is mounted to the inside of the anodizing tank; the aluminum acts as an anode, so that oxygen ions are released from the electrolyte to combine with the aluminum atoms at the surface of the part being anodized. Anodizing is, therefore, a matter of highly controlled oxidation—the enhancement of a naturally occurring phenomenon. Dedicated to accountability and integrity in all we do. Copyright (c) 2019 All rights reserved by KLT Chemical Company.